The first time sitting down to a meal together with this crew of friends was at Zakkushi on Denman years ago. Almost every meal since, when this crew would meet up for a meal we went to Zakkushi on Denman. 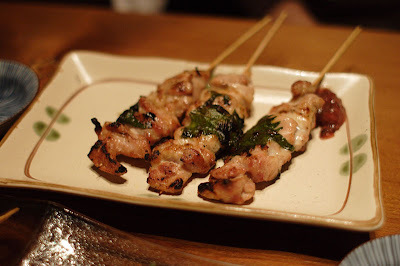 The other day we planned to meet up for a few beers and some skewered meat once again, but this time we decided to try out the new Zakkushi location on Main st. (& King Edward Ave.). The place was much larger than the Denman and way more spacious than their W4th location. The decor and atmosphere was even nicer than the others as well. This location is still quite new but i guess they picked a great location 'cuz this joint was packed! Steady flow of patrons and a line up all night. On to the food! 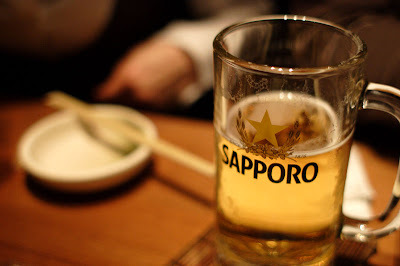 Well, of course at any izakaya or yakitori spot you have to start with some ice cold beer. Yes the Sapporo beer were served in frozen glass jugs that made the beer so delicious. Then of course your get a number of assorted skewers of meat to go with your beer. These skewers make the beer taste extra delicious. 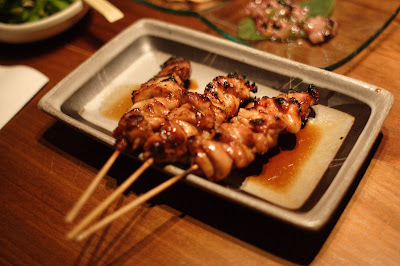 Aside from the staple yakitori selection this location has a little more on the menu compared to the other 2 locations. 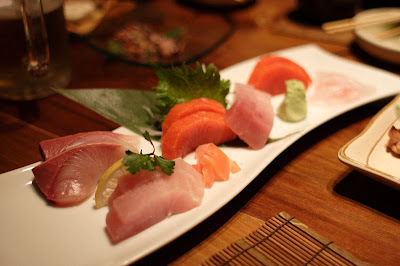 There's a good assortment of sashimi (fresh fish) dishes and some interesting tapas dishes as well. We ordered an assorted sashimi dish that was great. Very fresh and presented very nicely. 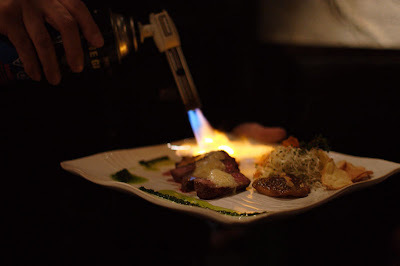 We also ordered a seared beef dish that was brought to the table and torched in front of you. This dish was a big hit at our table. A few pitchers of ice cold beer and many reordered of skewer goodness we all decided that this was our favorite Zakkushi location. We saw a lot of familiar faces there and all seemed to be enjoying their meals as much as we were. 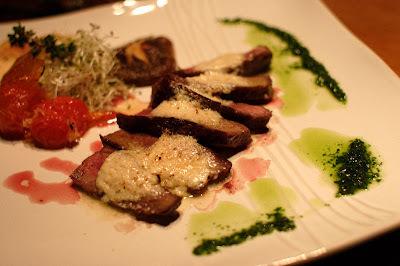 Food looks good...esp that beef dish which they torched! Thanks for posting. whoa now! That's a good lookin beef dish! take me to zakkushi next time, please!